This is a project that my own 5th grader has to do and (un)lucky for him, he has a mom who likes to use him as a guinea pig. For this project, he was given $1,000,000 and had to spend all of it. 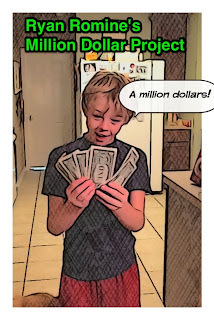 They were supposed to find pictures with prices of things, tell why they wanted it and round the cost to the nearest $1,000 and show their subtraction work as they spent their money. We will turn this in as a paper project, but I thought it would be fun to mess around with a few apps at home. We started by creating a title page using the Story Me app. 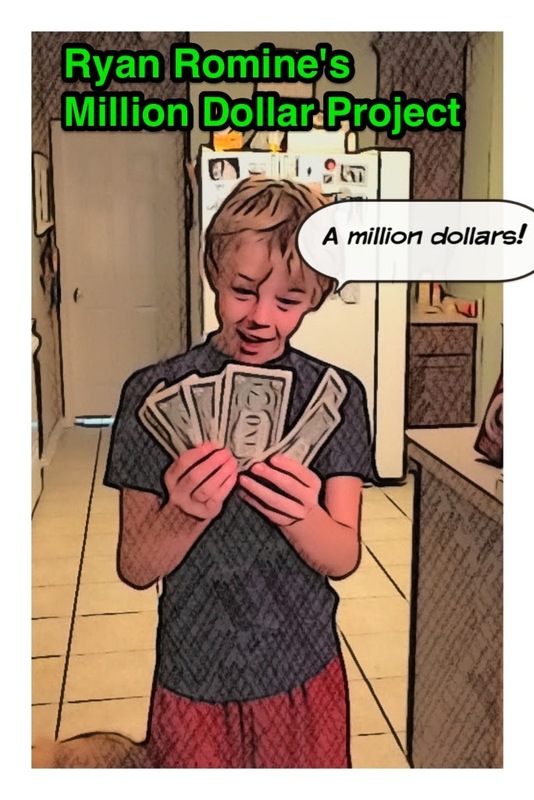 With this app, you can turn pictures from your camera roll into comics with speech bubbles and a really cool cartoon feature. Here is what we did. 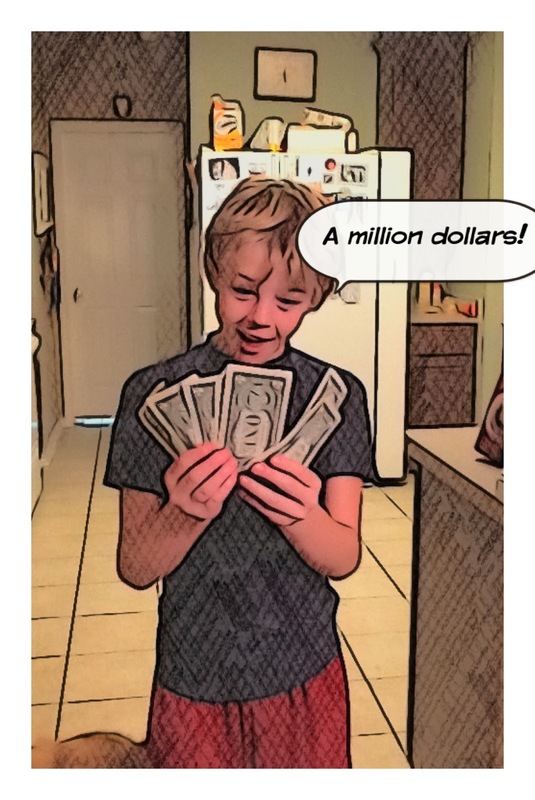 Then we used Skitch to add a title. Then we took screen shots of the actual word documents that he was going to turn in that had the item's picture, price, his reason for purchase and his rounding and put them all together with his subtraction work in Educreations. Here is the final product in Educreations. Thanks Jennifer! It was fun messing around with the different apps. I am excited to show my teachers and get them using the iPads more.